If you’re not comfortable on the bike, you’re not going to have much fun. Germany’s Ergon is acutely aware of this, and is continually pushing the envelope of product design to assure the fun factor remains high. Press play to learn more. 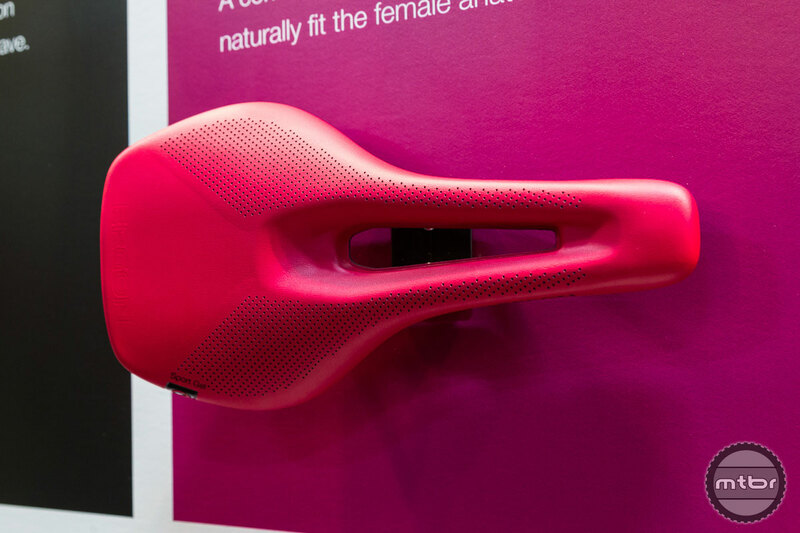 New for 2018 is a host of new ride-enhancing products starting with a pair of highly-engineered women’s specific saddles. 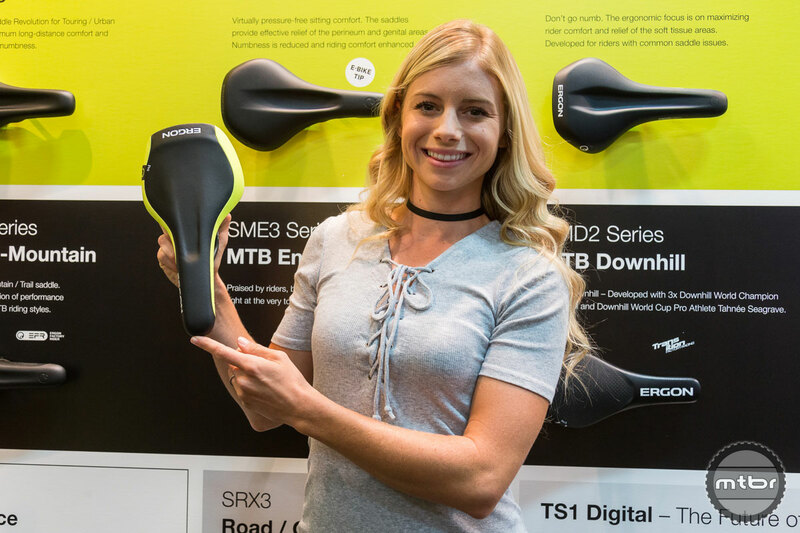 The SM and SR are the result of extensive research in which Ergon discovered that women’s saddle needs are significantly different than for men. The German brand found that on average women have a wider pubic bone angle and are also more flexible, allowing them to roll further forward on the saddle. Additionally, extensive conversations with both pro and recreational riders revealed frequent episodes of pressure, pain, and even numbness due to soft tissue compression. 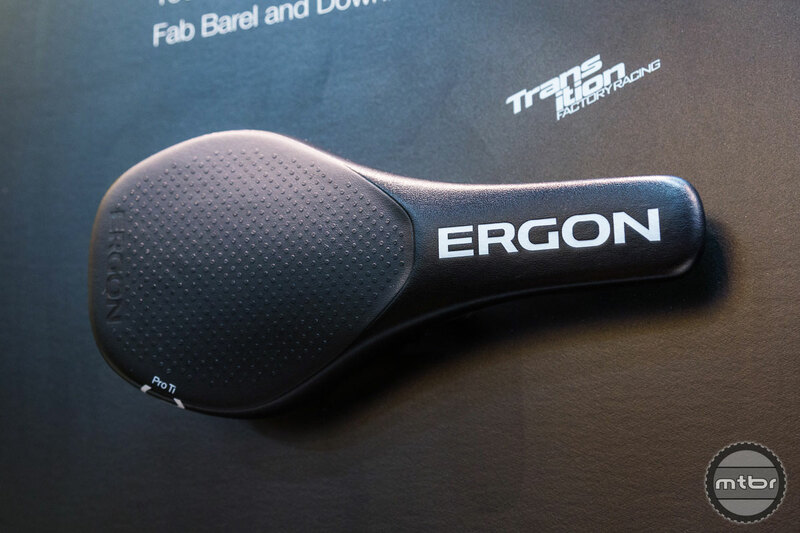 To combat these issues Ergon created a pair of saddles that are wider in the transition area, while also providing pressure relief in the frontal area. There’s also a cut-out for additional pressure relief, which is especially helpful when doing technical climbs when you slide forward on the saddle. The new saddles come with or without gel, are available in two colors (black and berry), and come in two sizes, S/M and M/L. 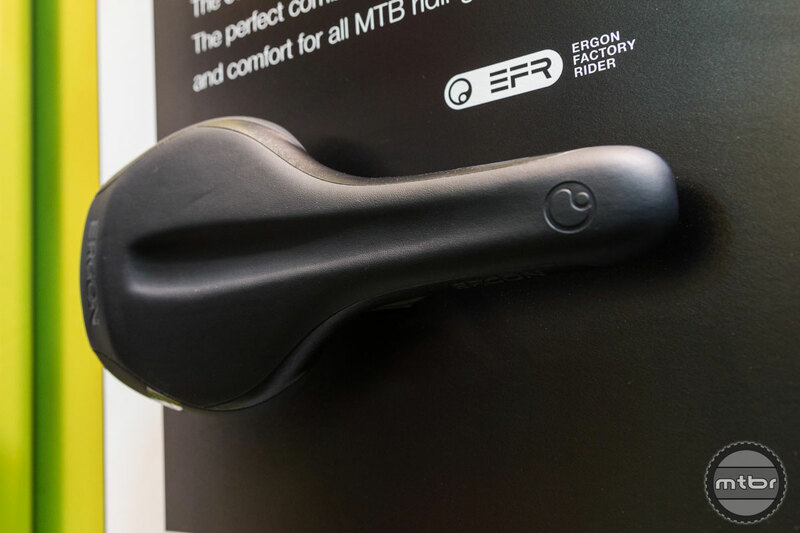 Visit your local Ergon dealer to get measured on their digital measurement device and start riding without discomfort. 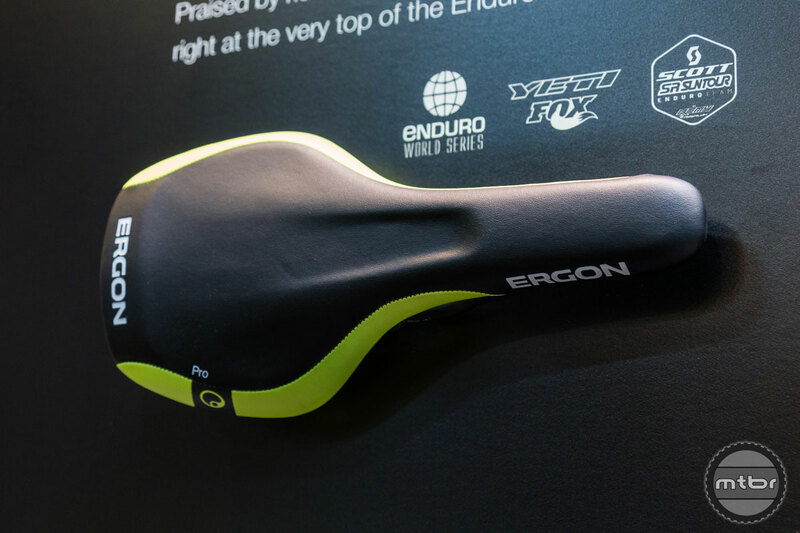 Ergon also has a new enduro specific saddle, the SME3, that features strategically placed pockets that allow your sit bones to stay on top of the saddle. It’s also very light and durable, so it won’t tear the next time you have an unscheduled get off. 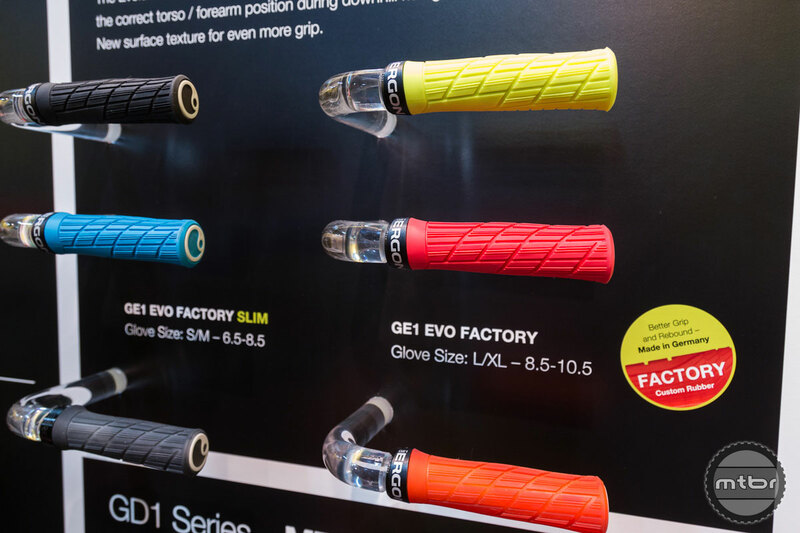 Finally, Ergon has expanded its popular grip offerings with the new GA3 (smaller and winged), GA2 Fat (33mm vs 32mm diameter), and GE1 Evo, which is made from a new softer rubber compound. 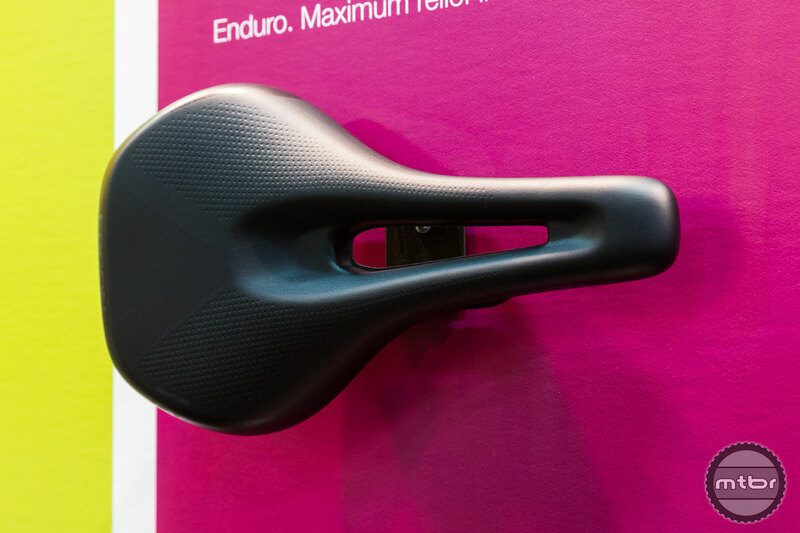 The SR women's saddle is wider in the transition area, while also providing pressure relief in the frontal area. 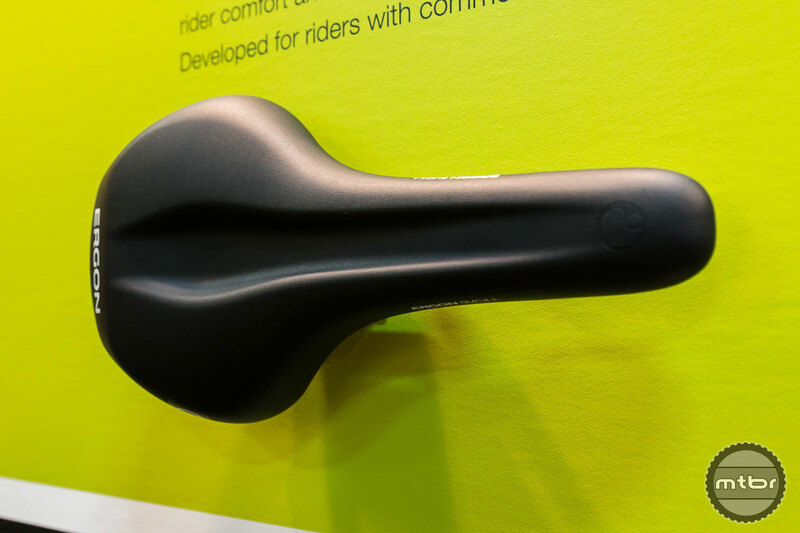 It also features a cut-out for additional pressure relief, which is especially helpful when doing technical climbs when you slide forward on the saddle. The saddle comes with or without gel, is available in two colors (black and berry), and comes in two sizes, S/M and M/L. The comfort All-Mountain saddle that is the perfect balance between performance and comfort. 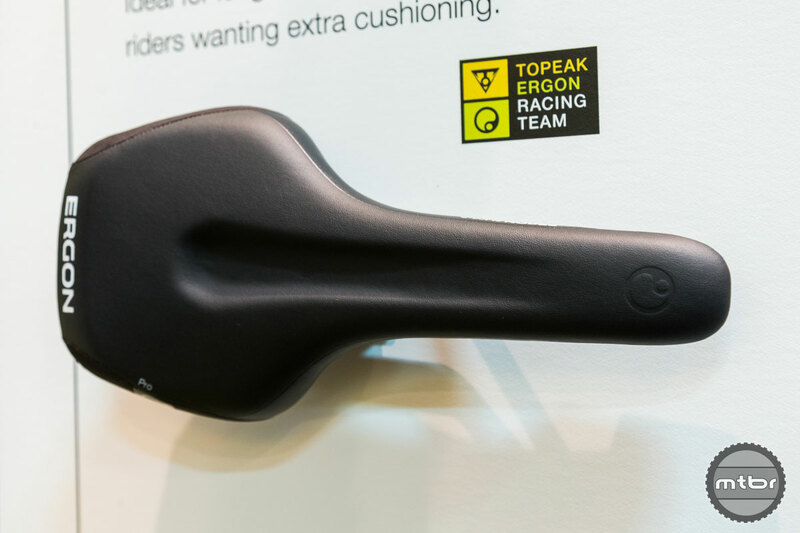 The Perfomance Comfort saddle for mountain bikers. The SMC3 is designed as an all round mountain bike saddle, ideal for recreational cyclists and cyclists with common saddle issues. The new GA3 grip is smaller and winged. 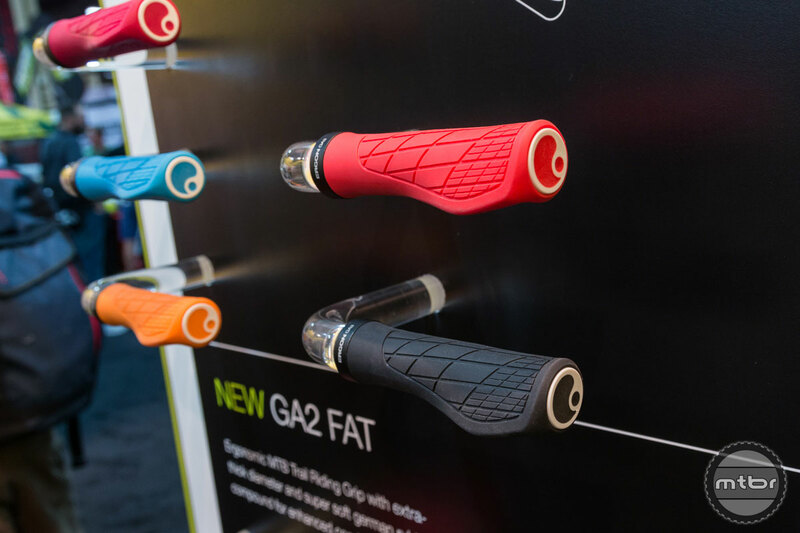 The new GA2 Fat grip has a 33mm diameter. The new GE1 Evo is made from a new softer rubber compound. 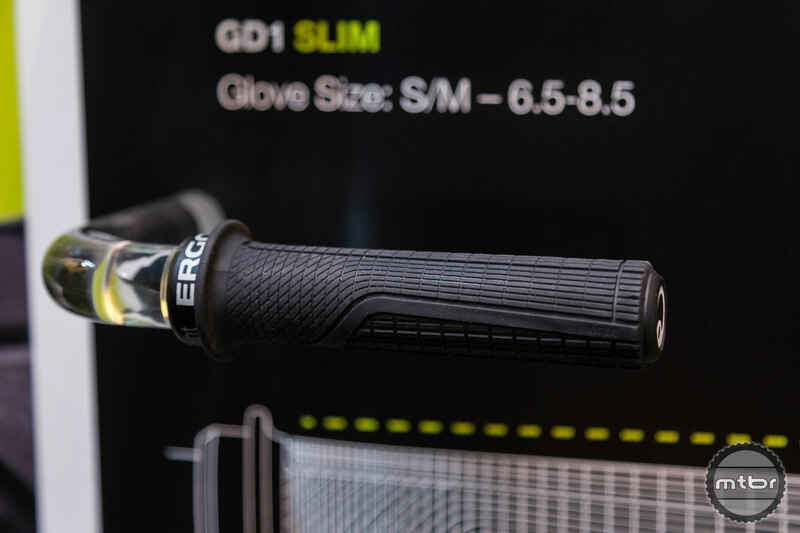 Ergon introduces the first MTB Gravity Grip with tapered grip shape (patent pend.) 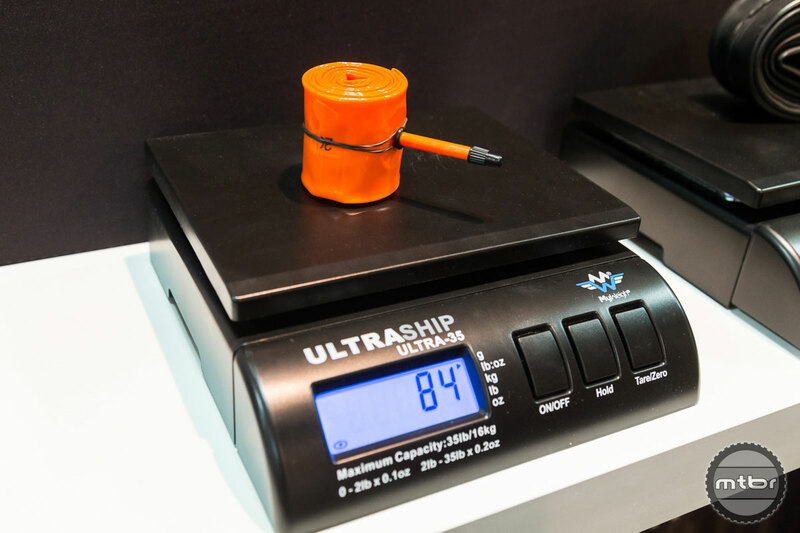 which features more damping in the outer area of the grip and a slim inner diameter. 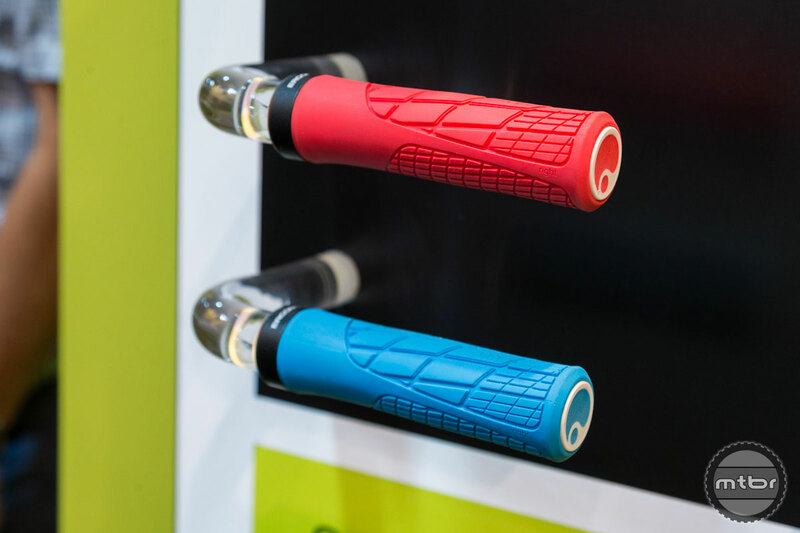 The unique rubber compound, manufactured in Germany, offers adhesive and rebound properties which have never been seen before in a bicycle grip. The grip feeling is soft, but still very defined and precise. The surface profile provides the hands with optimal grip and reduced gripping force. The slim inner stop additionally improves fast positioning of the hand. The high-strength aluminum inner clamp keeps the grip twist-proof, even on carbon handlebars. 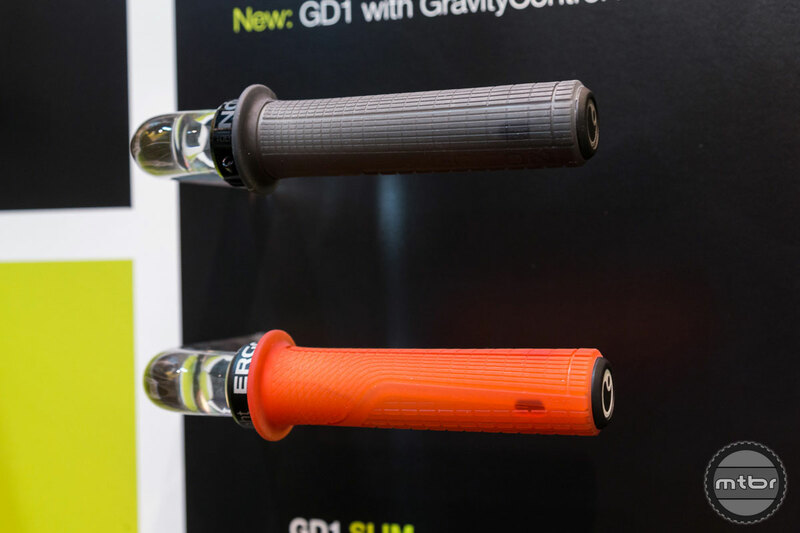 With an inner-diameter of 30mm and outer-diameter of 32mm, the GD1 Factory has, in comparison to the GD1 Slim Factory, more damping characteristics and is recommended for riders with glove size L/XL (8,5 – 10,5) or riders who prefer a normal grip thickness. The first gravity-grip with a tapered shape and a unique rubber compound. Designed for the demands of downhill and hard gravity use. The Tubolito is a super light tube. 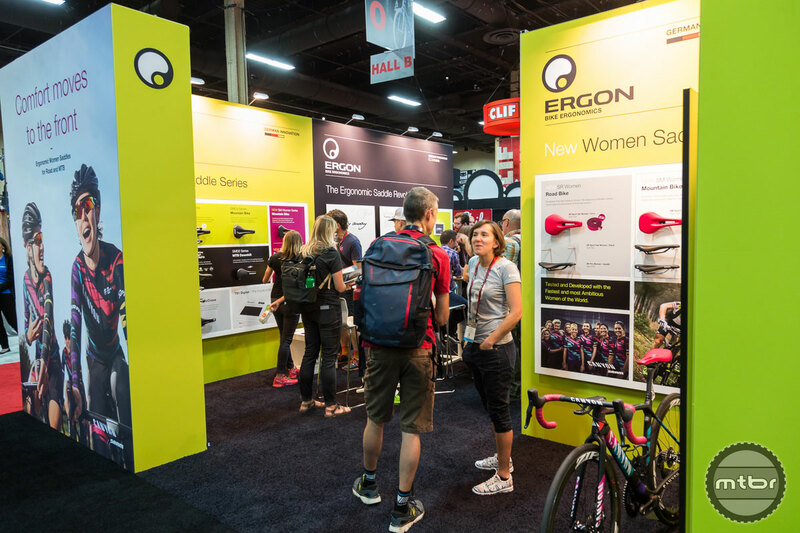 Rachel Throop shows off the Ergon Enduro saddle at Interbike. Ergonomics for cyclists. Perfectly realized.